For Traders, Super-Markets, Clothing Industrialists, Wholesalers, Personal Shopping Service Providers, Etc. E-commerce is the best medium where endless products are available starting from a bobby pin to everything. In order to be amongst the best leading online selling store, you need to gain the maximum possible attention of mass-audience. 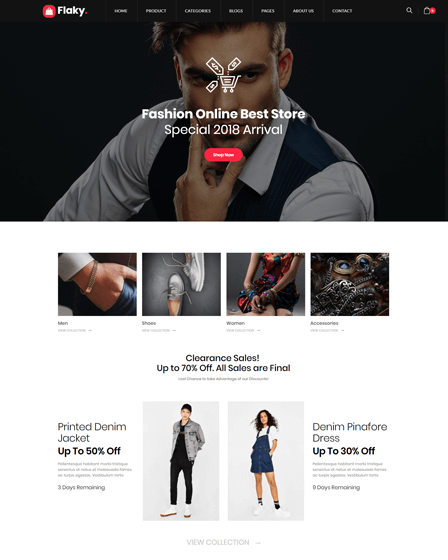 Make this possible with Personal Shopping Service WordPress Theme that offers you a perfect platform to build an astonishing website for personal possessions. 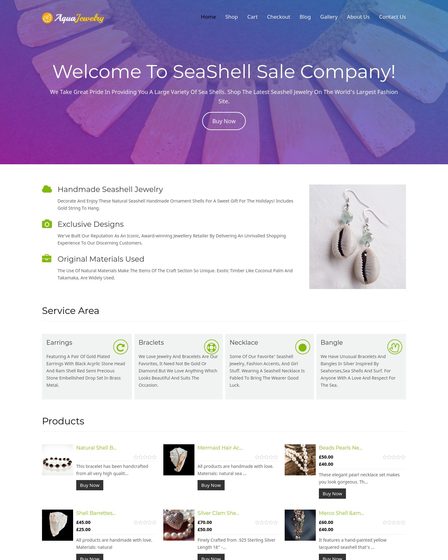 The theme comes with WooCommerce compatibility for proper sales execution of a variety of stuff. It also, feature services such as wedding collection, gift cards, vouchers that help your customers to get the best shopping experience. It is specially crafted for shopping service providers, wholesalers & retailers, clothing industries, stylists, fashion designers, traders and other startup entrepreneurs looking for profitable business opportunities. 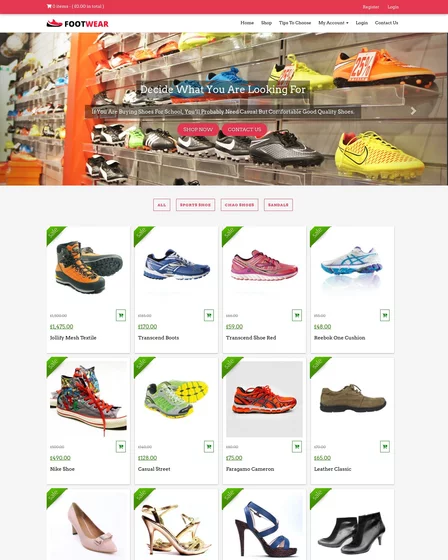 The theme has an integrated WooCommerce Plugin to accelerate the selling of your products like accessories, clothes, gift items. You can create “Shop Page” where the listing of materials are done and from there your customers can select various items using “Add to cart” feature. All the selected items will be seen on the cart page, after picking up the required goods the customers can use “Checkout” facility and further this theme provides you Paypal Gateway System using which your clients can make payment of the purchased objects. The Slider Section lets you showcase distinctive images in full-width layout along with heading & brief description to uphold the eyes of your visitors on the website. You can flaunt all your wedding collection, services regarding gifts & vouchers etc., in the 4-Column Feature Service Area on the homepage of this theme where one can also link those services to shop-page or any other page of the website. Share recent news about shopping trends on the homepage via Blogs. 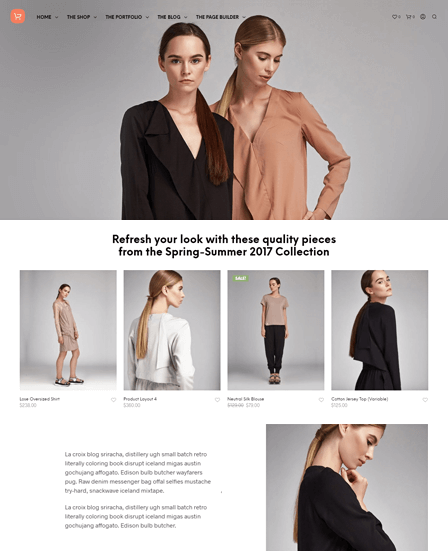 With this section, you can display various articles on shopping behaviour or can update your clients regarding fashion posts which can help them to improve their style statement. Even they can give suggestion or feedback using reply option given below every post. Further, it will help you to generate traffic on your website. PrivateShopper WP theme allows an About-Us Section on the front-page, where you can write a short description of the work culture to let everyone well-informed about your firm in order to create trust in the minds of customers. Also, you can showcase supplementary services provided by your organisation like shopping tour, fashion consultant, personal shopper etc., in the Accordion Section on the homepage. Attain customer’s interests with homepage sidebars, where you can show your best client experience by Testimonial Section that will help you to increase the goodwill of your firm. Also, you add any relevant video in the sidebars to seek the attention of your visitors. Share videos in homepage widget.